This evening Koa had a baseball game under cloudy skies. It has been raining off and on today but luckily the fields were dry enough that they could play. Last year, there were so many games canceled due to heavy rains and even the end-of-season tournament was called off. This season, just one practice was called off and we’re crossing our fingers that we can get all the games in! 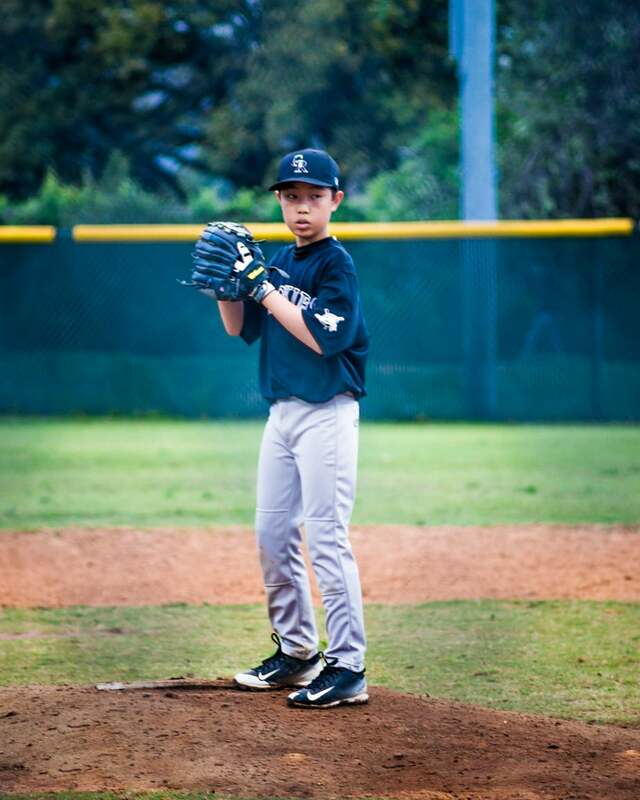 Tonight’s photo is of Koa on the mound. I paired my Minolta 100-200 AF lens with the NEX-6 body using a cheap (~$15) adapter. There are some strange patterns going on in the background, but I am happy with the quality overall. I was going to put the lens on my A77 and have full auto-focus and metering, but decided to give this smaller combination a try just for fun. I am pleased with the result! Unfortunately, the result of the game was a loss for Koa’s Rockies. But the tournament is this weekend and we’re hoping to do well! At least I know the kids will have fun… they almost always do!